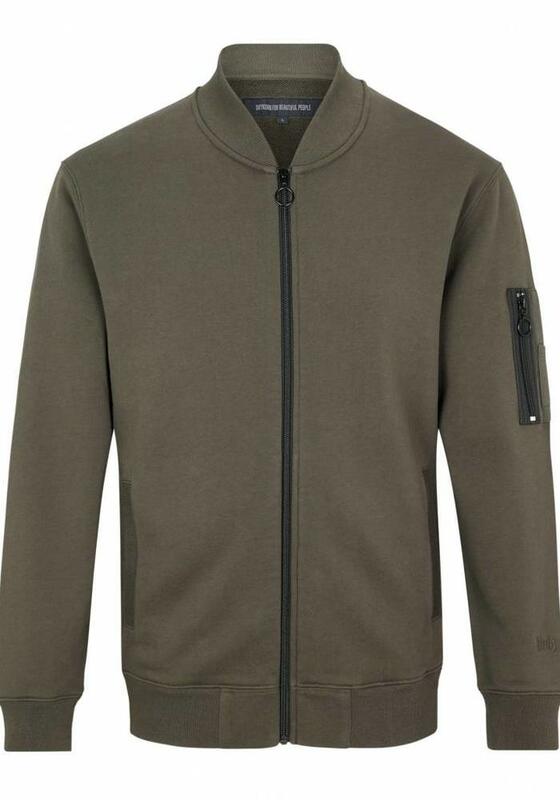 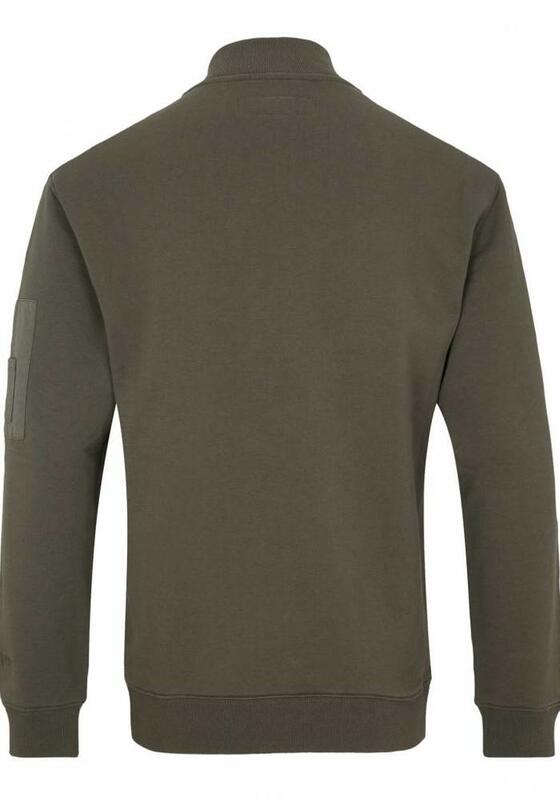 Army green sweat jacket for men from Drykorn. 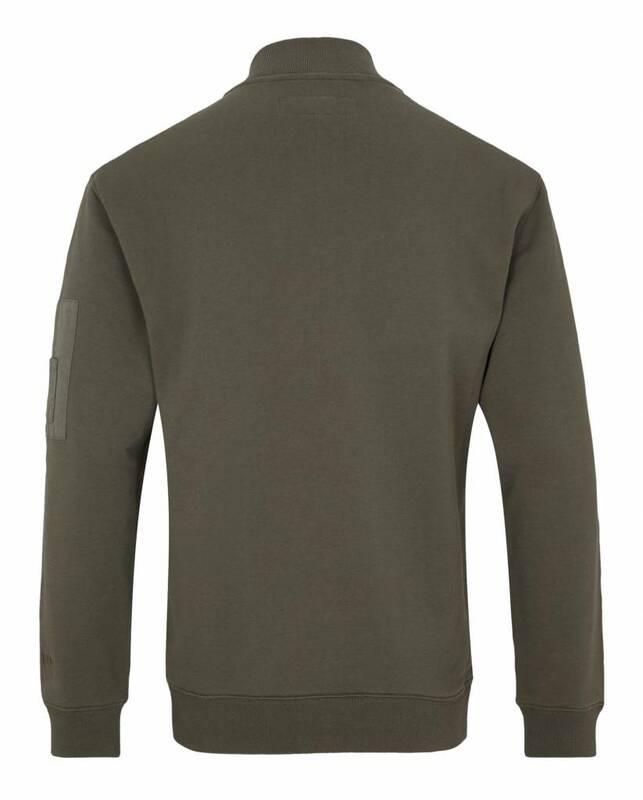 On the left sleeve the text 'birds of prey' has been embroidered in the same color as the jacket. 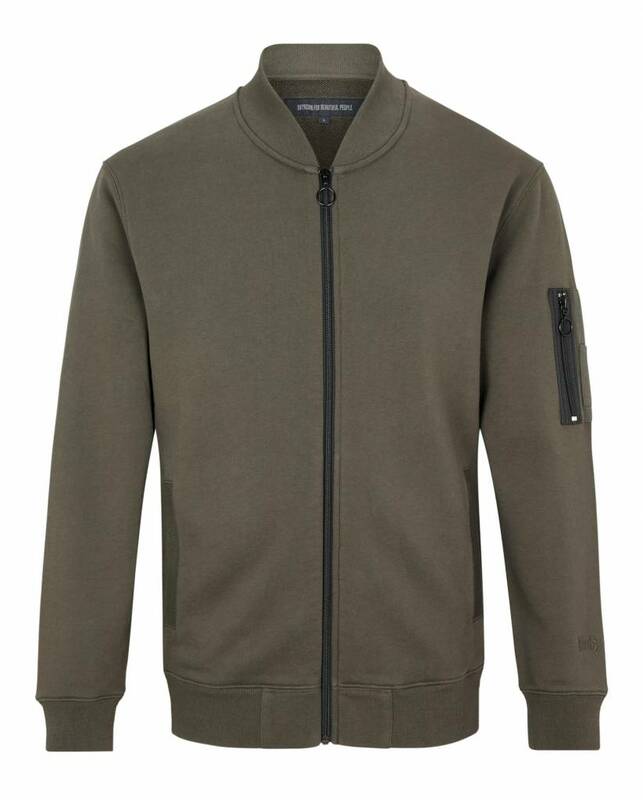 Inspired by the military look thanks to the contrasting black zippers with pull ring and pen pockets on the left shoulder.